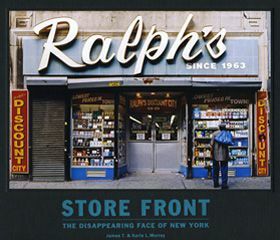 New York City store fronts have never looked better. 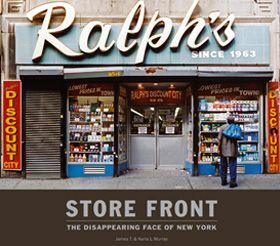 Photographers James and Karla Murray reinterpret the shops from their bestselling book Store Front: The Disappearing Face of New York with the help of top street and graffiti artists. 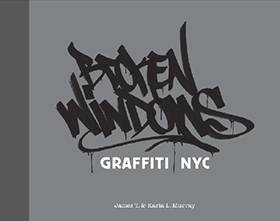 These time-worn institutions were reproduced at close to life-size scale and then painted over by artists such as Blanco, Lady Pink, Zoltron, Dave Cooper and Billi Kid during an art installation presented by Gawker Artists on the Gawker Media roof, with the NYC skyline as its backdrop. The book documents the completed artwork, but also includes interviews with the artists and a fascinating look at the works in progress. 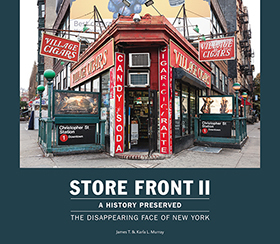 In addition, the Murrays share the story behind the massive project and explain their concept. 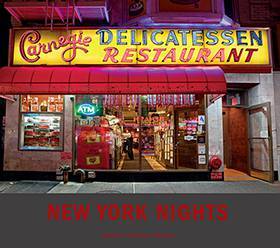 Mom & Popism is the perfect souvenir of NYC.